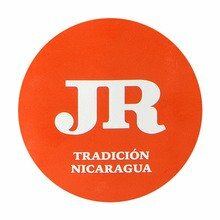 Big, hearty, and delicious, the JR Tradicion Nicaragua Magnum is a 6 x 60 that features a Nicaraguan binder and a combination of Connecticut Broadleaf, and Nicaraguan filler tobaccos cloaked in a sultry Nicaraguan wrapper. The result is a cigar jam-packed with warm musky notes of leather, earth, spice, cedar, and espresso. Sold in economical bundles of 20, the Magnum is a real bargain that only tastes expensive. Very hard to get a good draw and consistent burn with this cigar. Out of a box of 20 I thought a good day cigar. 5 out of the 20 hard draw , poor construction. 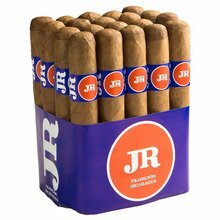 I wont be buying JR brand again.Save you $ for a quality cigar. There is nothing to like about this cigar. Very inconsistent, some to tight, some loose, almost all plugged to some extent. Terrible burn pattern, most burn very uneven and most canoe. Very band and tasteless first half of cigar. Second half starts to have taste but it is not good. Very disappointed and will never order again. I found about one or two that had good, decent taste. Most seemed very dry and lacked flavor. I was very disappointed at these cigars. this is the second time that I purchased these cigars. I had been looking for everyday cigar that was cheap. It is not the best but not bad for the price. I would recommend this as a good cheap smoke. The Nicaragua is the best of the two.